Whether you're moving to another country and want to take your DVDs with you or you do a lot of traveling, the Oppo region free blu-ray is perfect for your needs. 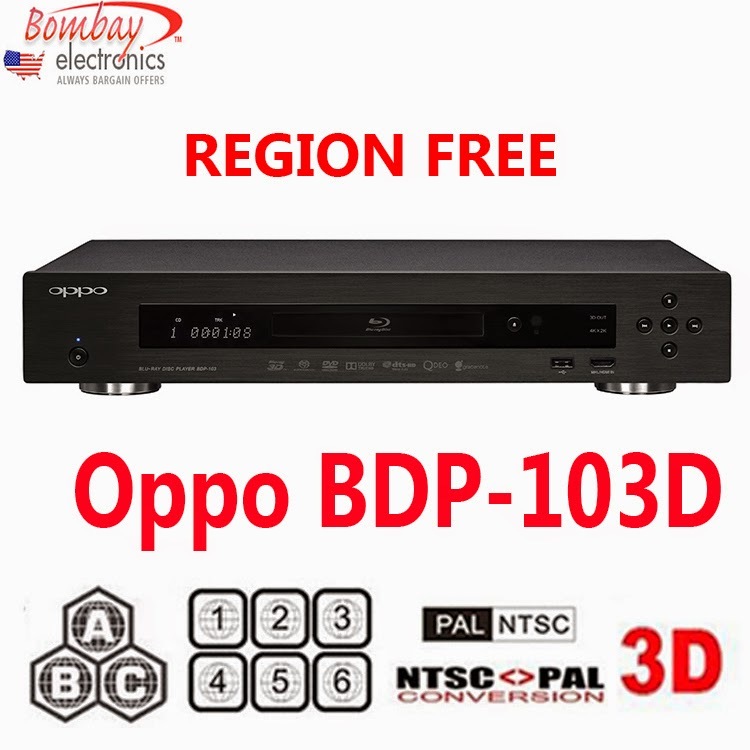 For instance, the Oppo BDP-103 Multi Region Code Free DVD Blu-Ray Disc Player plays all region DVDs which includes zero through nine DVDs and A, B, or C Blu-Rays. It has a built-in PAL to NTSC converter which means you do not need an external video converter. There is dual HDMI input and output as well as 3D support. No matter what kind of voltage you require, it has it. Both 110 and 220 worldwide voltage is included and since it is world class hardware modified, you won't have to worry about future firmware updates because it is compatible with them. This is the perfect way to take your beloved Blu-Ray discs from home with you to another country or if you travel extensively and want to be able to watch your movies then you can do that too. It saves money because you won't have to buy new Blu-Ray discs simply because you're in another country and cannot view the ones you already own. Some of the other features and benefits include WiFi, MHL compatible, 4K video upscaling, 2D to 3D conversion, RS-232 port, BD-Live 5, RS-232 port, 7.1 analog audio out, and more. Purchasing a region free Blu-Ray player from Bombay Electronics is 100% secure, low price guarantee, fast shipping, excellent customer service, and you get free tech support on all of your questions about using your region free Blu-Ray player. If you want to learn more about what a region free Blu-Ray player can do for you, simply contact us so we can help.